I was shown all the safety procedures about my rides and how to open and close them. I had books to read and exams to pass. I also got to ride a few attractions. My job was to ensure the Guests' safety. I was responsible for making sure they respected the rules and requirements and I had to stop the ride if something was not up to standard. I had to load Guests on the attractions and unload them. I had to help Guests with disabilities and make sure they could ride safely. I also had to greet the Guests in the attractions and answer any questions they had about my rides or any question about the parks. I also had to park strollers, distribute and collect Fastpass and create magical moments. I loved the amazing guest interaction I had. 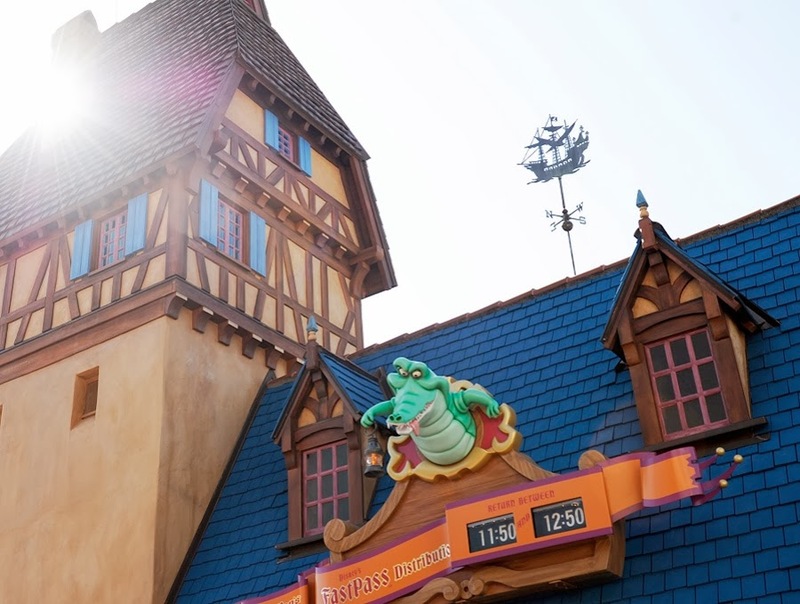 I loved to create magical moments or do that small thing that would make the ride unforgettable, like snapping my fingers to make the lap bar go down on Peter Pan's Flight. I enjoyed talking with families and giving them advice on how to make the most of their visit. I especially liked chatting with guests from Quebec and Canada that were so happy to meet someone from their country. The days were too short (most were only 6 hour shifts) and three months was clearly not enough!! Seriously though, as much as most Guests made my job amazing, some Guests could totally ruin my day. Sadly, I have to say that I've met the meanest people I've ever met in 5 years of working in Guest service. My favorite magical moment was to let people in the Fastpass line on Peter Pan's Flight. I couldn't do it very often, but with an hour and a half wait time it was something people really appreciated ! I could also re-distribute Fastpasses, blow bubbles, give stickers, wish Happy birthday or Happy anniversary to people celebrating a special event. On "it's a small world", I also liked to give nice families or birthday kids the chance to ride in the front row or to do the ride a second time in a row when there was no wait. I was parking strollers in the Rapunzel area at night when 2 little girls were dressed as princesses and I started to dance to the Rapunzel music. We danced for almost 10 minutes and their mom told me I had made their day. She said they would remember me and talk about me back home :'). The people I met at work or in housing. I worked with amazing people from all over the world that were so happy to work at Walt Disney World. I had a blast playing in the parks with them and I'm so glad I still keep in touch with many of them. I learnt more about my strengths and weaknesses. I learnt about other ways of living and thinking from my friends from other countries. I also learnt about how rides are operated, it's so interesting! It's way too short. I wish I could have stayed for 6 months instead of 3. The hardest thing was saying goodbye to all my friends and coworkers and having to leave my job and the magic of Disney. Going back to 'real life' is hard. The amazing perks you get for being a Disney Cast Member. Going to the parks for free anytime you want is incredible. I also enjoyed the cast member resort hotel discounts and had friends come visit me for free. 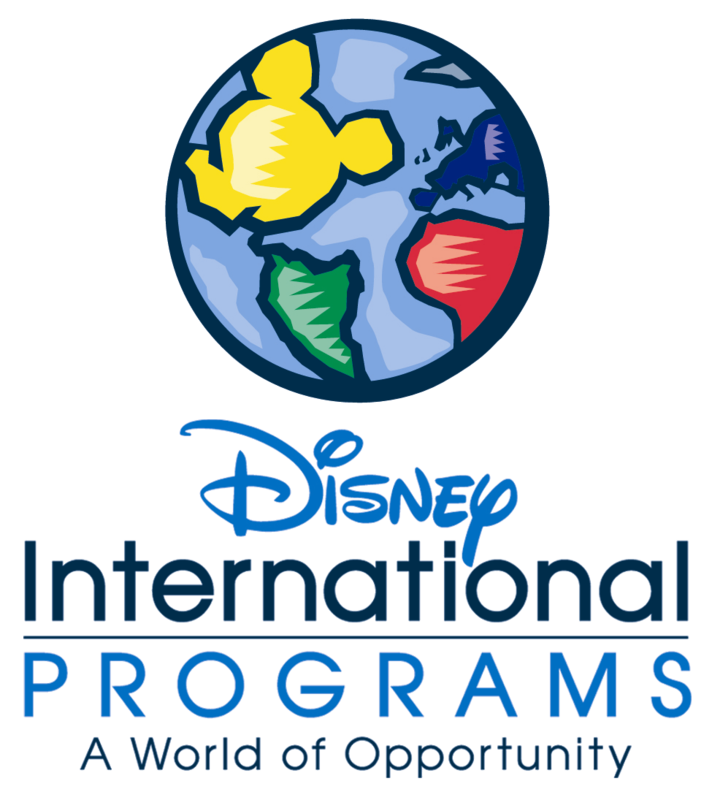 Most of all, working for the Walt Disney company in Orlando is a dream come true and I lived extraordinary experiences during that program. I am very proud to have been part of the magic and to have helped create lifetime memories for thousands of Guests. 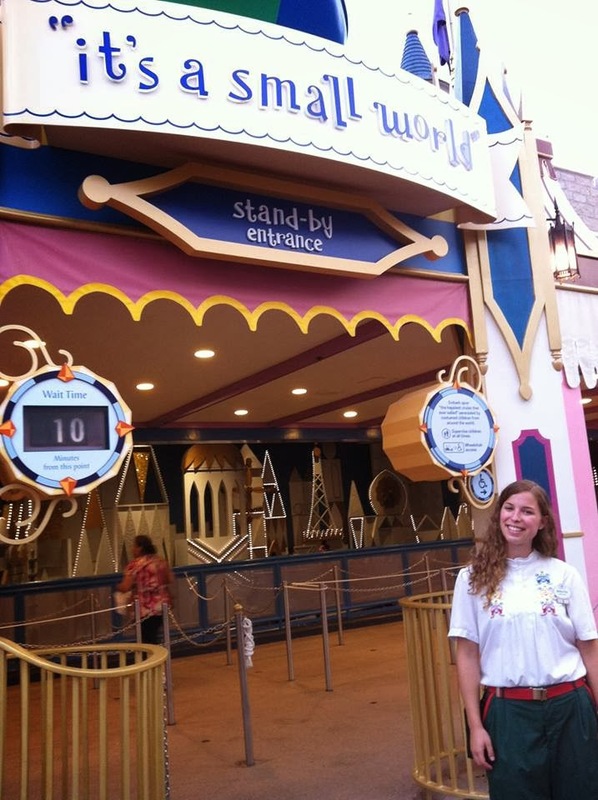 My favorite day at work was when we had to evacuate "it's a small world"! It was not because of an emergency, only a mechanical problem. I had so much fun putting on waders and jumping in the water to push the boats towards the emergency exits. I had to talk to the Guests to calm them. I worked very hard that day, but I felt really useful ! Since I had done the program in 2011, I knew what to expect. I made sure that what I didn't like from my first program didn't happen in the second, so my experience was way better the second time. For example I brought my car this time, and I made sure to work in a very busy place (I couldn't have worked in a busier place!) because in 2011 I worked in Merchandise in Port Orleans Resort where the time went by slowly and I got bored. I wish I could !! I'm done with University so it's impossible for me, but I was very lucky to do the program twice. I might work for Disney Cruise Line one day !